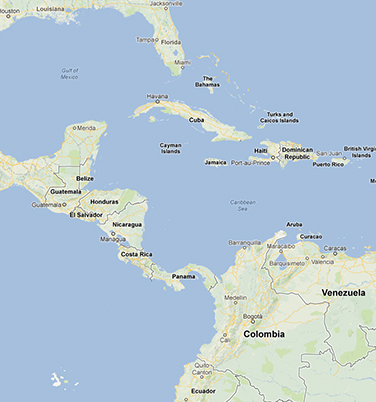 On April 20-28, 2013, I traveled with a small delegation of the Colombia Support Network (CSN) to Colombia a few weeks ago. 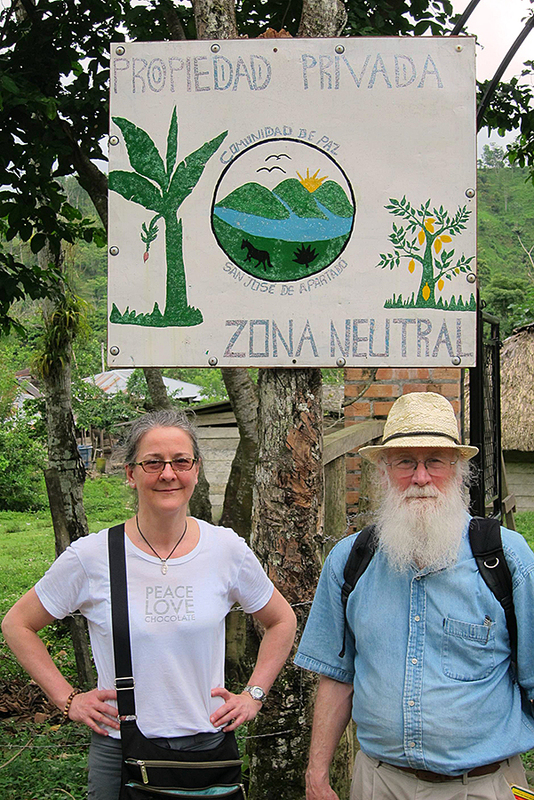 The Colombia Support Network is a national grassroots organization based in Madison, Wisconsin, with 501 (c)(3) tax-exempt status, created to provide support to Colombian communities and organizations in areas of conflict which seek to construct a just social and economic order using non-violence means. Dane County, WI, has a sister city — the Peace Community of San Jose de Apartado — which was the first stop of our trip after arriving in Medellin. There we met with the Internal Council of the community and listened as they shared their experiences. We were there to show support and be a witness to their struggle to stay out of the military and government conflicts. They have declared themselves neutral and will not collaborate with either the FARC, paramilitaries or the Army. They refuse to provide information to any group that could jeopardize their safely. Since a massacre in 2005 that left many dead, there have been dozens of murders and threats to civilians. It is their wish to remain neutral and to live in peace, the delegation was there for support and to bear witness to their experiences and then to share that information with the Colombian government, military, and police forces. My involvement began when Cecilia Zarate approached me a few years ago to talk about CSN as well as that the community also produces cacao. She brought me samples and asked my opinion, at the time it was rustic and needed a bit more finesse to become fine chocolate. She did have my attention however and curiosity. Since then she has brought me cacao beans which my friend Pierrick has turned into bars for me. 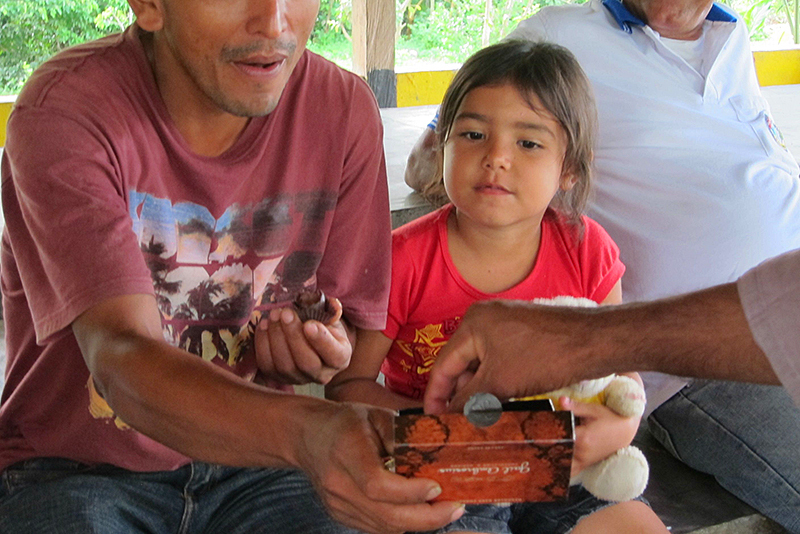 When I visited the community they showed us their cacao production, it was more than I had thought it to be. They have good stock, great drying racks, and small scale processing equipment. The chocolate they make is very good. My quandary however is how to get it out of the country safely? The concern is that the farmers could be robbed of the cost once I leave, or if I can even get it out of the country safely. 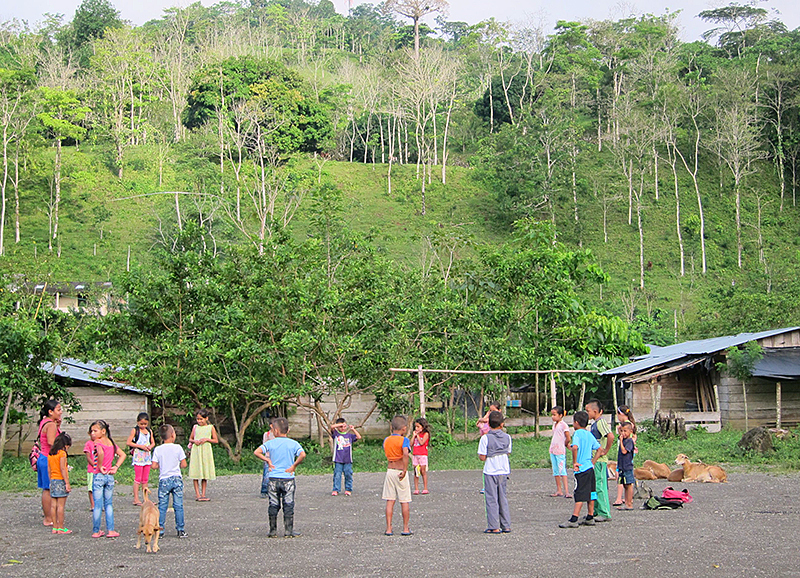 The community is in the Uraba region which is very close geographically to Panama as well as the Caribbean Sea, which make it an area prone to drug trafficking and the violence that goes along with it. After visiting the community and learning about their challenges, we met with the local police force, local Secretary of Agriculture, a UN Representative, and the 17th Brigade of the Army who patrols the area locally. In each visit, we relayed the information we were told by the Peace Community. Our information sadly seemed to fall on deaf ears, the Peace Community appears to be seen by the authorities as a nuisance and unwilling to cooperate. We then flew to back to Medellin where we had a short tour of the beautiful city and then caught our flight to Bogota. In the capital of Bogota, we had several meetings with government officials including; the Defense Ministry, the Attorney General, the Vice Presidency, the General of the Army, and the U.S. Embassy. Once again we retold the incidents and information we gathered from the Peace Community. We repeatedly were told that things have changed, the danger is over and that the FARC and paramilitaries have de-mobilized and that the trouble is all coming from the “bacrim” or criminal gangs involved in drug trafficking. This is not what we heard from the community. It is very confusing, frustrating and saddening. The most moving meeting we had was with the Mothers of Soacha. 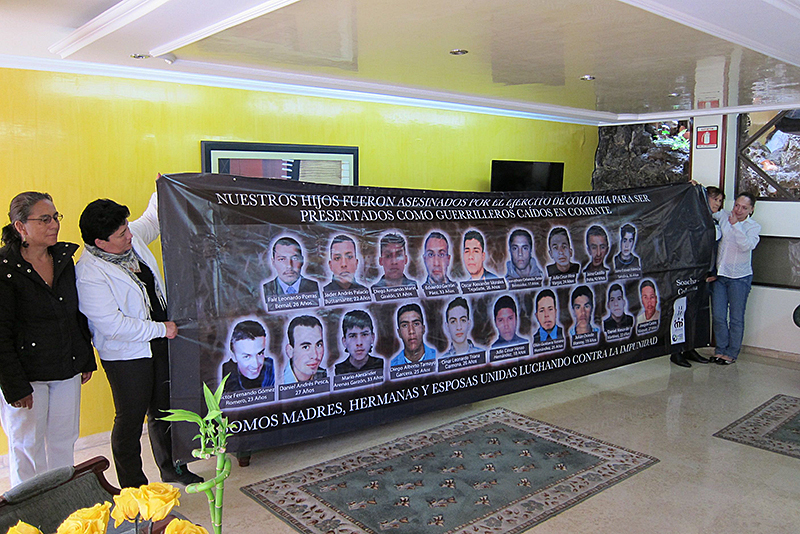 This is a group of mothers who have lost their sons to the terrible conflict that goes on in Colombia. The families are from poor areas of Bogota where there are not many prospects for employment for young men. The sons are “recruited” with the promise of wages higher than usual, they are given a small advance in salary then taken away, murdered and dressed as guerrillas with weapons put in their dead hands. The military uses these young victims as statistics to prove that the FARC is being subdued. This was the most heinous act I could imagine. The Mothers were just trying to get justice for the crimes and acknowledgment that their sons were taken away and murdered with a price over their heads. These women are incredibly strong, yet the tears still flow when sharing their stories. With one day left before our return we needed a day to decompress and process what we had heard. We visited the Botero Museum and the Gold Museum. Botero is famous for his well proportioned subjects done in playful way, the Gold Museum displays an extraordinary selection of its pre-Hispanic gold work, the collection is the biggest in the world and fascinating to learn about. This was a very moving trip, the more I learned the more confused and frustrated I became. It was well worth the effort and I am grateful I was able to participate. Hopefully, I will be able to visit the Peace Community again as well as meet with dignitaries to share what I heard. The only thing I know for sure is we have to try to make a difference whether if feels like we are making an impact or not, we have to try.